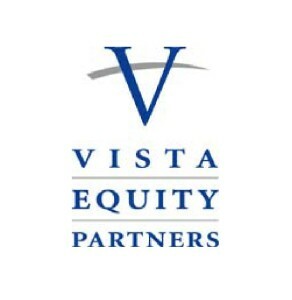 Following a deadline for Solera to seek another buyer and early FTC approval of the deal, Vista Equity Partners’ proposed $6.5 billion purchase of the company is looking more and more like a done deal. The publicly traded Solera had until 11:59 p.m. on Sunday to take a deal with a mystery third party identified in a merger document. Bloomberg Business and Reuters have reported the “Excluded Person” to be IHS. The publicly traded IHS told investors in late September it wouldn’t buy Solera, the parent company of AudaExplore and Audatex. If Solera calls off the deal, it owes Vista Equity $114 million and/or at least up to $5 million in expenses. If the private equity firm wants out of the deal, it must pay Solera $228.75 million. Solera announced Tuesday that the Federal Trade Commission had ended its Hart-Scott-Rodino Antitrust Improvements Act waiting period early. Companies can request the waiting period end if the government doesn’t have any problem with a merger on antitrust grounds. Foreign regulator — Solera has operations in 75 countries — or shareholder disapproval would be the only major barriers to the acquisition. However, shareholders are likely to be convinced by the kind of profit they stand to realize. (See company’s message to investors.) The deal values Solera’s stock at $55.85 a share. Solera noted that in August, prior to the buyout speculation and announcement, its stock was worth $36.39. That means Vista Equity will buy Solera for $6.5 billion, a huge markup from the company’s late August estimate of a $3.255 billion market cap. Solera’s board has recommended approval. Vista Equity has a few offerings which Solera’s products would complement. It owns EagleView Technology, which lends 3-D measurement software, analytics, aerial images and geographic information systems to the property and casualty insurance industry. It also owns DealerSocket, which serves auto dealerships. It once owned Applied Systems, a software provider to the property and casualty insurance industry, Zywave, which seems to serve insurance brokers; and Reynolds and Reynolds, aimed at auto dealerships.